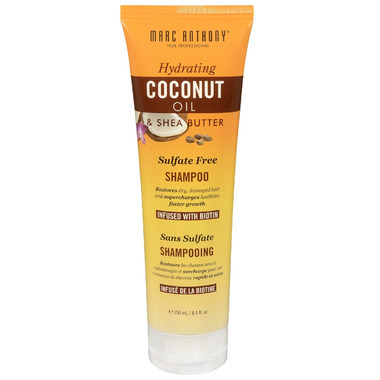 Beautiful hair begins with a clean scalp and hair, so begin by washing it with Marc Anthony Hydrating Coconut Oil & Shea Butter Sulfate Free Shampoo. It washes away the accumulation of dirt, pollution, grease and products that stop your scalp and hair from being free to use the nourishment available to them! The less buildup your hair has the more open it will be to allow in the hydration and protective benefits of Coconut Oil, Shea Butter and Biotin. 250 mL will last you about a month and a half or less depending on your usage. Feels and smells nice.